I've used Double Circles... they're fab as they give a stitched line on both sides of the circle die. Which means you can use the circle that's cut out, and the negative left behind, as I have here. I've also used the clouds from Dotted wings and Puffy Things. Perfecto for some Fluffy Bear cuteness! Two lucky winners will receive one By DIEzyne Die Set and one Stamp from C.C. Designs. But, there are more chances to win over the weekend on the C.C. Designs and Passionate Paper Creations and Friends Facebook Groups. Make sure to come join the party! Sooo cute! The bear definitely looks fluffy. Faye I'm already stalking (I mean FOLLOWING!!) you! Teehee..
A truly wonderful creation and I adore those clouds so much! Smiles. A pleasure hopping with you all. Love your card it is amazing.He is soo cute. Excellent card, Faye. I adore how you colored the bear. The card design is terrific too. Those happy rainbows set the stage for a super happy card! Wow - gorgeous card and fantastic coloring. Great use of the new dies! Cute, cute, cute! And I love your little tidbit about the stitched die leaving the design on both sides of the cut! Love this card! Your card is super cute. ..I love how you colored your bear. OMG! I absolutely love this! NEED the double circle dies!!! TFS! This is the sweetest card ever!!!!! I love everything about it. 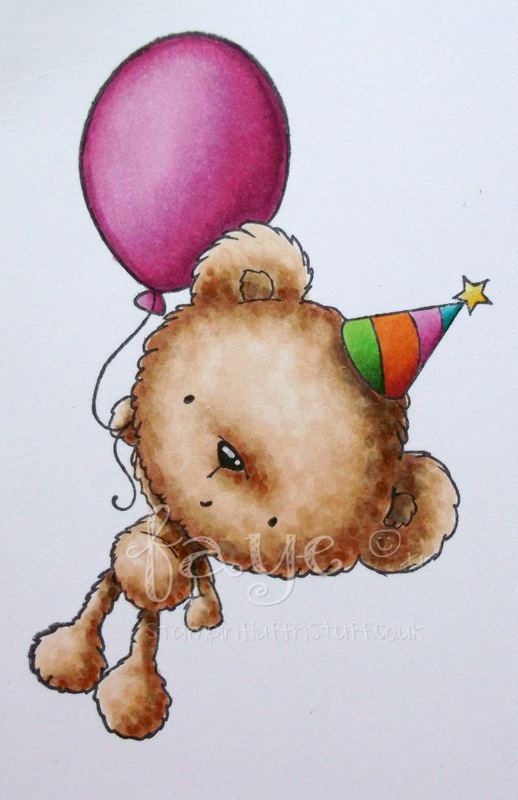 Gorgeous card, love the lil bear, he's so cute!! Such a gorgeous card. I LOVE the sweet image, stunning colouring and wonderful design too. Your card is soooooo stinkin cute! Oh no, more stuff I'm going to *need*...like those fabulous dies - I love the double circles you used but can see more there that look fab too! 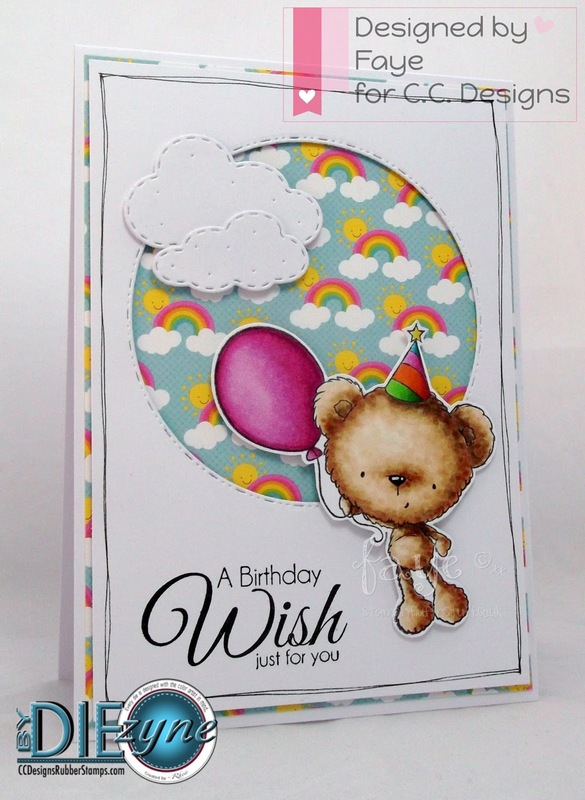 I love your cute card too, that little bear is so fluffy and gorgeous...he looks quite happy to be floating off into a sky full of rainbows! Gorgeous! Love the CAS look. What a cute card you've made. Adorable little bear!! I love the dies that are stitched looking!! Stop it woman!!! Showing me MORE things that I may need!! There's a word for you - a temptress!!! LOL! Seriously.... I may just have to pop over and take a peek at these dies... after seeing this fabbie card using one of them! Such a cute card!! Love your coloring on that little bear, have to practise that more, animals! Adorable card! love the way you colored that sweet bear! Your card looks so wonderful,really fantastic. What a cute card. I love the design and the papers used on it.